Democratic lawmakers, empowered by their new House majority, have amplified their criticism of the deal, and two hearings are set this week. How might President Trump handle the border deal? New indications on if Trump will sign bipartisan deal; Democratic strategist Howard Franklin and former Border Patrol chief Mark Morgan weigh in. Negotiators did their job by compromising to avoid a shutdown. A “Socialist Fever Dream”: Can the G.O.P. Turn A.O.C. into 2020 Kryptonite? 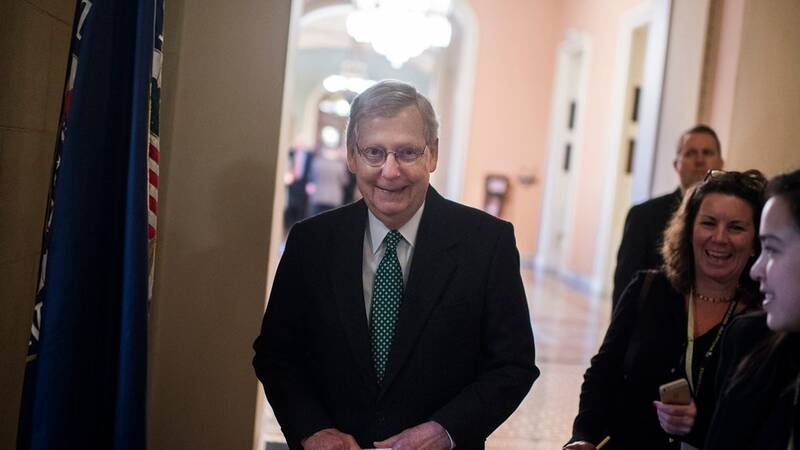 Mitch McConnell hopes to turn the Green New Deal into an electoral nightmare. But polling shows the voting public may be more aligned with Ocasio-Cortez than Republicans think. Federal employees, having weathered the recent 35-day shut down, prepare for another one this week if tentative congressional budget deal falters. Rep. Mark Meadows, R-N.C., the chairman of the conservative House Freedom Caucus, panned the tentative border security agreement hammered out by congressional negotiators and said that President Trump should supplement the deal with executive action. Deal gives $1.375 billion to border wall; Texas Rep. Chip Roy and California Rep. Tom McClintock weigh in on the deal as the finding deadline looms. Conservative radio host Rush Limbaugh on his show Tuesday told his listeners not to underestimate President Trump’s desire to address illegal immigration and secure the southern border with Mexico, even if he does sign a compromise to avoid another shutdown. Terms of the deal were not disclosed, but Ecolab said training is essential for its customers. Do voters think Ocasio-Cortez's Green New Deal is reasonable? Lawrence Jones asks people in Washington, D.C. about the Green New Deal; reaction from Fox News contributors Jessica Tarlov and Lawrence Jones.